Spier (pronounced "spear", with a silent "r") wine estate has lovely parks with well-kept green lawns and benches where visitors can while away the time. Kerry-Anne lay on the ground reading a book while I took copious photos of everything I could lay my lens on. 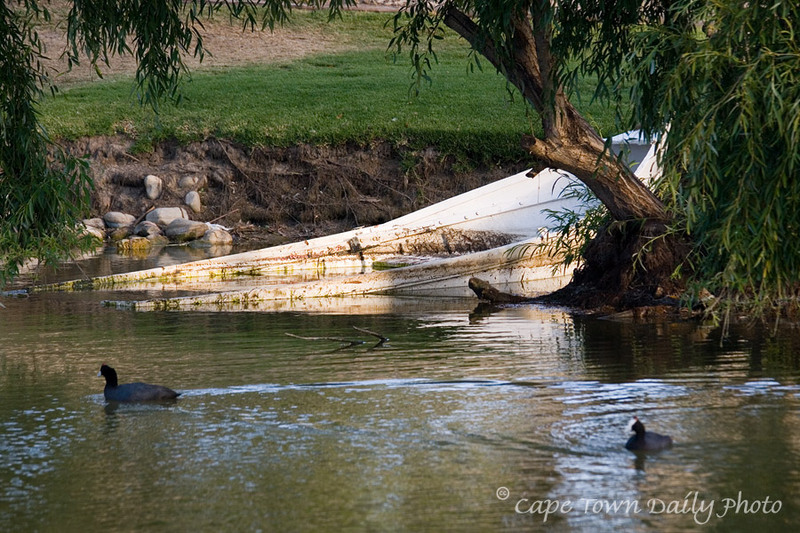 Spier is a great place to spend some time relaxing. Picnic baskets and wine can be bought from a shop on the estate and there's a small play-park and stream where kids can play. When visiting Cape Town, do make a point of stopping by at Spier. Click here to see the aerial photo on WikiMapia. Posted in General on Wednesday, 30 January, 2008 by Paul.